Lookin’ at the river view. As you were riding along. As we were singing this song. But you were pedalling harder too. As we were riding along. 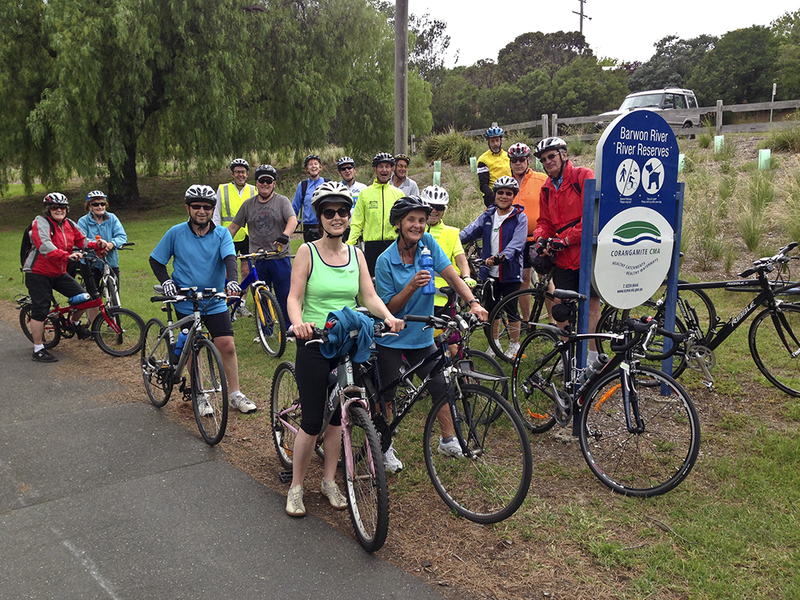 The previous week’s ride was the normal river circuit, with 20 cyclists. Thanks to Doug for this photograph. This entry was posted in Ride reports and tagged Barwon River shared path, Panache Waurn Ponds, Waurn Ponds shared path by hlyth2013. Bookmark the permalink.